Seymour Krim’s profile of Philip Lamantia in his 1960 anthology The Beats surely must be one of the most colorful description of the neo-surrealist poet. One thing about Philip Lamantia often forgotten is that he read his poetry that famous night at the Six Gallery when Allen Ginsberg first read Howl. 265 pages, Penguin Books, $16. Joyce Johnson was 21 and not long out of Barnard College when, in the winter of 1957, Allen Ginsberg set her up on a blind date with Jack Kerouac. She took the subway downtown to meet him at a Howard Johnson’s on Eighth Street in Manhattan. “I push open the heavy glass door, and there is, sure enough, a black-haired man at the counter in a flannel lumberjack shirt slightly the worse for wear,” she writes. Kerouac was older than Johnson, 34, and still largely unknown. The book that would make his reputation and upend American literature, “On the Road,” had yet to be published. He was broke, hungry, distraught. She bought him a plate of frankfurters. He followed her back to her small apartment. A door had swung open in her life. Thus began an off-and-on relationship that lasted nearly two years, years that witnessed the publication of “On the Road” and life-altering fame — not only Kerouac’s but also that of many of his closest friends, other Beat Generation writers. Johnson captures this period with deep clarity and moving insight in her memoir “Minor Characters” (1983). It’s hardly an unknown book. It won a National Book Critics Circle Award, and it has remained in print since it was issued. I’m including it in this series of columns about neglected American books because I so rarely hear it mentioned, and because I continue to think it is hideously undervalued and under-read. “Minor Characters” is, in its quiet but deliberate way, among the great American literary memoirs of the past century. Johnson’s book takes its title from her realization that — as was so common in every sphere of cultural life in the 1950s and beyond — the Beats were a boy gang. She would always be, at best, on its periphery. Her memoir braids and unbraids, at length, the meanings of this fact. 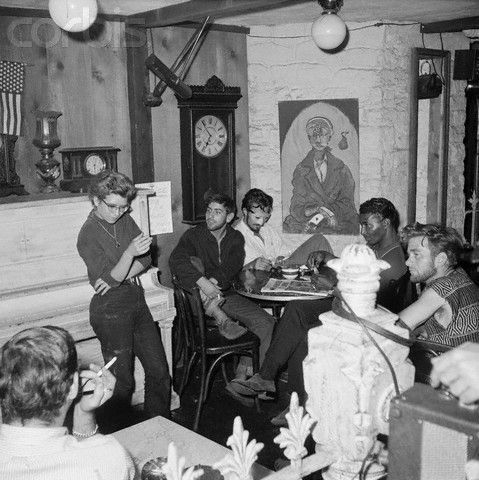 She recalls how the women at the San Remo and other bars, hangouts for writers and artists, “are all beautiful and have such remarkable cool that they never, never say a word; they are presences merely.” Johnson and her friends wanted to be among the yakkers, the all-night arguers. “Minor Characters” is not just about the Beats. It’s about many different subjects that bleed together. In part it’s a portrait of Johnson’s cloistered middle-class childhood on the Upper West Side. Her parents wanted her to be a composer. Her book is a riveting portrait of an era. It contains a description of a back-room abortion that’s as harrowing and strange as any I’ve read. Johnson had the abortion because she didn’t love the boy and wasn’t ready for a child. “Minor Characters” is a glowing introduction to the Beats. There are shrewd portraits of not just Kerouac and Ginsberg but people like Robert Frank and Hettie Jones. Best of all, perhaps, this book charts Johnson’s own career as a budding writer. She worked in publishing when she was young; she was secretary to John Farrar of Farrar, Straus and Cudahy (later Farrar, Straus & Giroux). He wanted to promote her; she left instead to visit Kerouac in Mexico and write. She published her first novel, “Come and Join the Dance,” when she was 26. I remember tracking down a first edition of “Minor Characters” — this was harder in the late 1980s than it is today — to give to my college girlfriend as a graduation present. She looked at its title, wrinkled her brow and asked, “Why this book?” Why a book, in other words, about women who are minor characters? I fumbled my answer. I knew only that I loved the book and wanted to share it. What I wish I had said is this: “Minor Characters” is better than all but a handful of books the boy-Beats themselves wrote. It’s a book about a so-called minor character who, in the process of writing her life, became a major one. American Beauties is a column by Dwight Garner, appearing every other week, about undersung American books of the past 75 years. Follow The Scene: Radical Poetics at the Zig Zag Edges.